Is your Search Traffic a bit dismal? 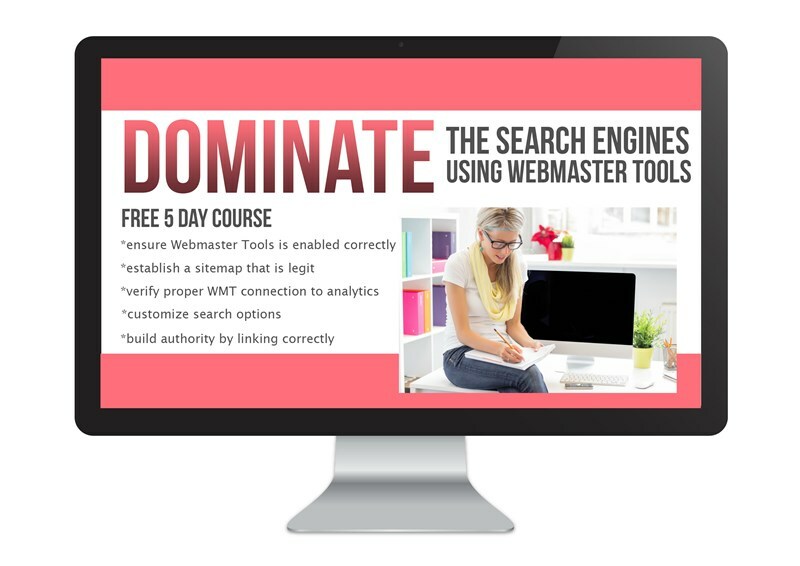 Free FIVE DAY Email Course! All the necessary steps to set up your Webmaster Tools (Search Console) and some Actionable Tasks to start improving your Search Traffic... ORGANICALLY! Sign up for our newsletter & get your 5-day course!